Michael Corleone’s exile in Sicily is ending, but on the instructions of his father, The Godfather, he must bring back to him the young man known as Salvatore Giuliano – if he can find him. At sea amid the treacheries of a brutal and unfamiliar land, Michael must find a way through the labyrinthine deceits that surround him, while Giuliano prepares himself for a final confrontation with Don Croce, Capo di Capi of the Sicilian Mafia. A novel of explosive suspense, heroic action – and evil on an epic scale. 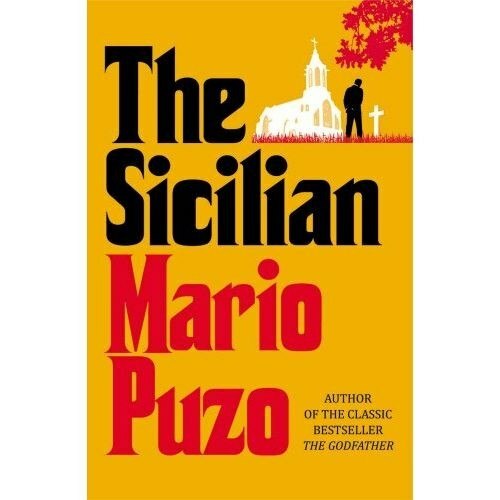 In the hands of Mario Puzo’s brilliantly sinister talent, the reader comes to know again the terrible magic of the Mafia.